Franklin Matters: Franklin resident struggles with Lyme disease. Can you help? Franklin resident struggles with Lyme disease. Can you help? 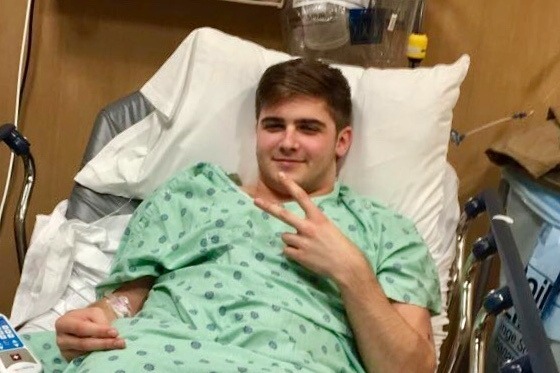 Jackson (Jack) Montgomery is young man from Franklin who has been fighting a battle with Lyme disease. A GoFundMe page has been created to help with the costs of this fight for health. The article linked below provides additional details about his diagnosis, medical care to date, and the deep debt incurred by his parents to provide medical care. Jack's family has recently identified a new course of treatment that could provide a significant improvement in his quality of life; however the cost is quite significant. And you can help! Every donation helps get Jack closer to the treatment he needs." I would like to know what the treatment is. I suffered from Lyme disease for years. I was on IV medication and then oral medication and I got better. Depending on where you get treated this should be covered by insurance.